Rating: Average 4.36 / 5 out of 176 total votes. 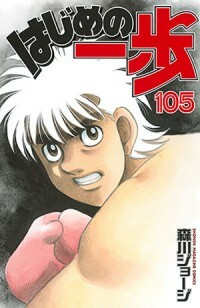 Summary: Throughout his childhood, Makunouchi Ippo has always been picked on by his fellow classmates. Long hours helping his mother run their family business, a fishing boat store, has left him without the time to make friends and so he remains an introverted loner, doomed to be beaten day in and day out. Although he hates being bullied, he hates himself even more for not being able to fight back against his tormentors.